The Vinyl Brunch is Back! New for 2014---the Vinyl Brunch is back! Every weekend morning from 8 am to 12 pm Central time, we will play the best eclectic music, perfect for easing into your weekend routine. The Vinyl Brunch will feature music not normally in rotation on Vinyl Voyage. On the Vinyl Brunch you will hear some classical, some jazz, and some showtunes. In addition, we will feature some of the best classic vocals by the likes of Frank Sinatra, Dean Martin, Johnny Mathis and many, many more. 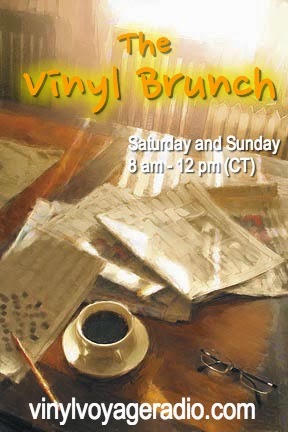 Join us every weekend for the Vinyl Brunch. Only on Vinyl Voyage Radio.